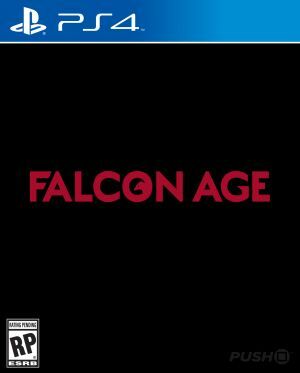 It’s kind of crazy to think that Falcon Age is Outer Loop Games’ very first project as a developer. Designed and produced in its Seattle-based studio, the experience demonstrates a level of maturity, understanding, and respect that games even in the AAA space could only hope to achieve. The headline-grabbing falcon is most definitely cute, but there’s so much more going on here. This is a story about the attempted pushback against colonization. As main protagonist Ara, you’ll lead the fight against the Outer Ring Company – colonists who have bled the planet of its resources and culture. After escaping her jail cell, Ara meets up with her aunt Erangani in order to aid the resistance in a bid for their freedom and to rid the planet of its invaders. It’s a narrative bursting with courage and hope that ultimately concludes in a rather sincere manner. After all, we don’t always get what we want – or if we do, we may have to let something go along the way in order to achieve progress. The plot explores these themes with sequences that’ll throw a curveball into the mix and twists that feel genuine as they become caught up in the lure of off-world deals. The journey to that endgame is just as important, though, with a cast of characters sure to charm, please, and excite those of varying backgrounds. People of colour receive strong representation, while the culture of those last remaining bastions thrives in a safe environment. Proceedings won’t always go your way, but there’s sure to be a captivating reason why at every turn. While its effects on the story are debatable, conversation is driven by an intuitive dialogue tree within PlayStation VR. You’ll be able to interact with the majority of characters you come across, all of which have something to say about their past, present, or your current objective. Responses can be chosen by twisting a PlayStation Move controller, and this will allow you to select different replies. 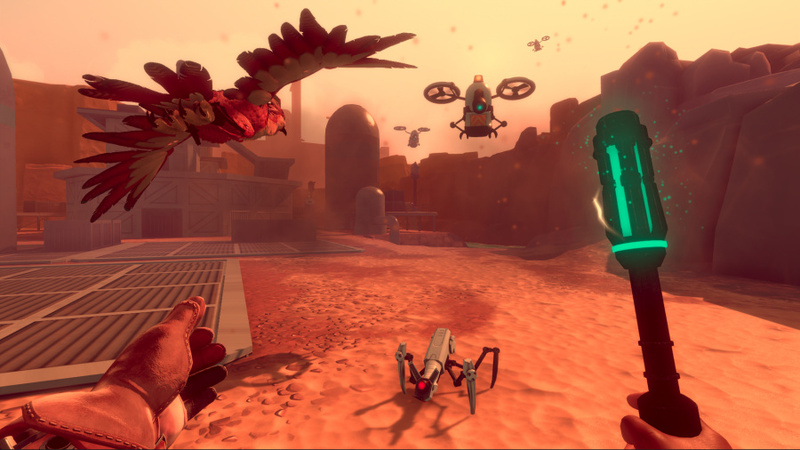 It’s a small mechanic in the grand scheme of things, but it feels notably natural for a feature that has been done a lot worse in the past – an impressive feat for a developer making its VR debut. 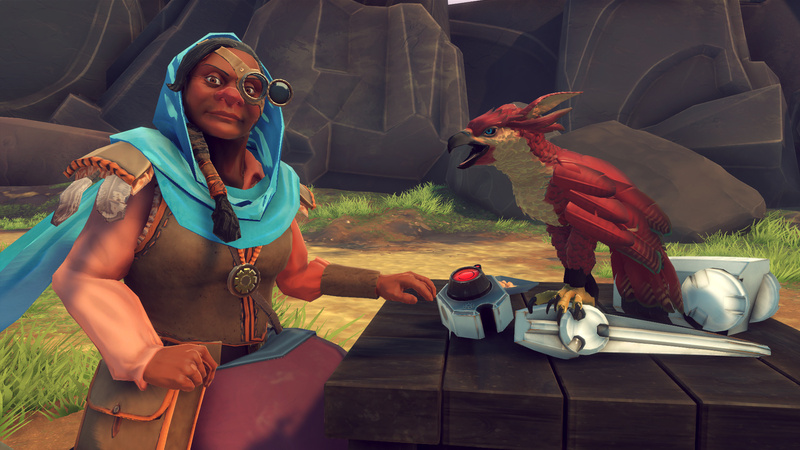 Okay, we’ve been putting it off for long enough: the falcon that quickly becomes your companion is quite simply the best. 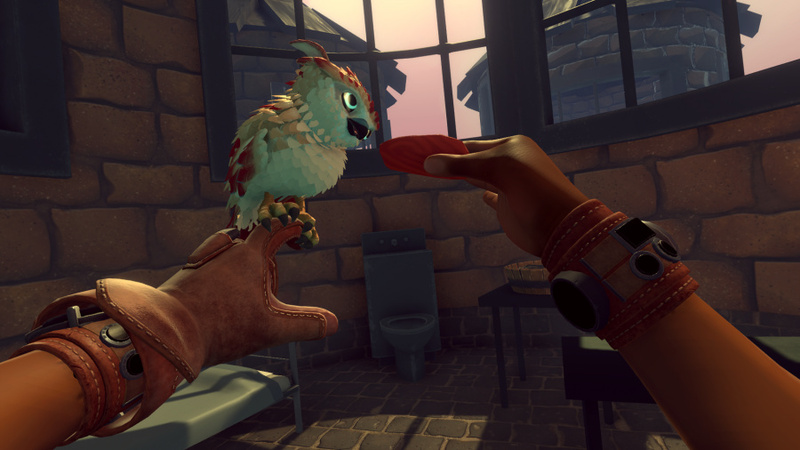 The novelty of having a fully-grown bird of prey perched on your arm never wears off, and the game complements that by giving you a variety of ways you can take advantage of your beaked buddy. The entire title takes place in one expansive, rocky stretch of land and within its plains and crevices you’ll carry out fairly simple tasks such as taking over refineries and gathering certain resources. At any time, you can call the falcon to your side by holding the Move controller up to your mouth and pressing the trigger button, as if you were whistling it over. Hold out your arm and it’ll perch itself on top, opening up further interactions. From here, you can aim the peripheral at a certain target in order to direct the falcon in that direction. Perfect for picking up items out of arms reach. That’s all well and good, but it’s during combat where the falcon really comes into its own. Ara comes equipped with an electrified batton, but she’ll need more than that to take down the robotic foes standing in her path. Using the aforementioned mechanic of aiming the falcon at a specific target, the bird can be used to distract enemies so that you can quickly close the gap and take them out at close range. Alternatively, you’ll need to time the falcon’s attacks to a precise second to take down tougher combatants as further mechanics add some much-needed depth. They make encounters a little more engaging than simply knocking the robotic adversaries across the noggin. There’s more to the bird of prey than just its violent assaults, though. 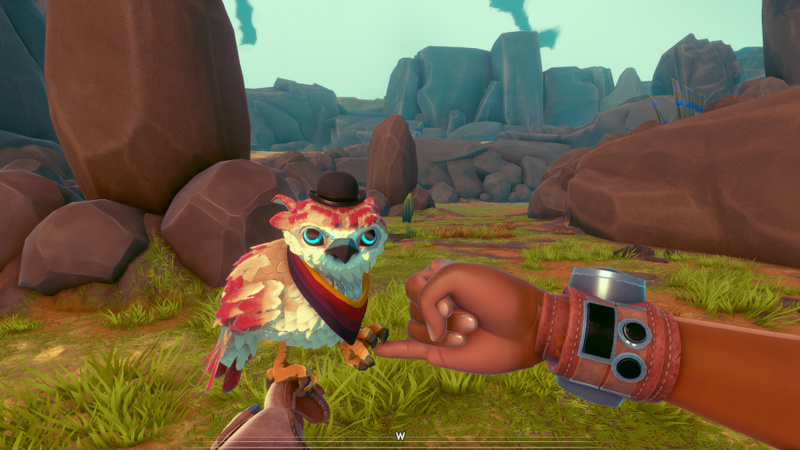 The falcon has a soft side, too, allowing you to show it some love and attention by stroking it and pulling off fistbumps with your free hand. Upgrades are aplenty as well, improving its durability with an enhancement that increases health or claws that’ll dig up hidden loot. 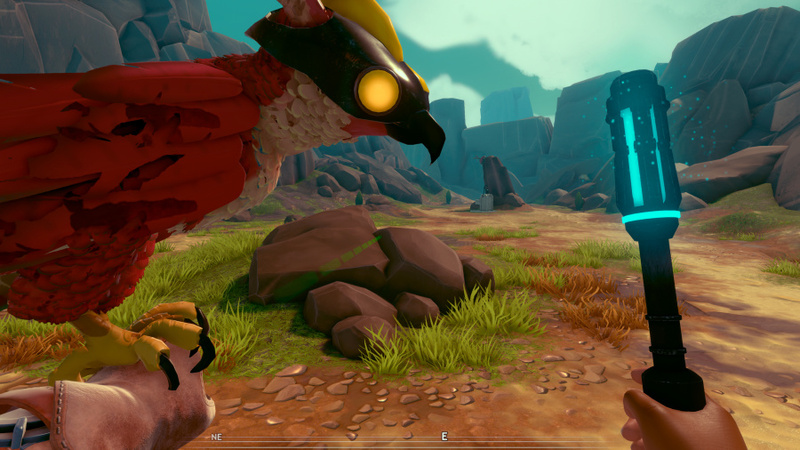 Furthermore, cosmetic items let you customise the look of the bird, with the likes of cowboy hats, western-themed balaclavas, and even neat items that tie-in with other games such as Transistor. One more mechanic that makes up the experience is cooking. Performed back at your aunt’s base camp, you can cook up recipes using herbs, vegetables, and meat you find out in the wild to give you and the falcon certain temporary buffs. Aiding Ara in defeating more menacing foes, it’s another neat mechanic that gives you something else to think about in and out of combat. As its defining feature, the falcon absolutely nails the landing. 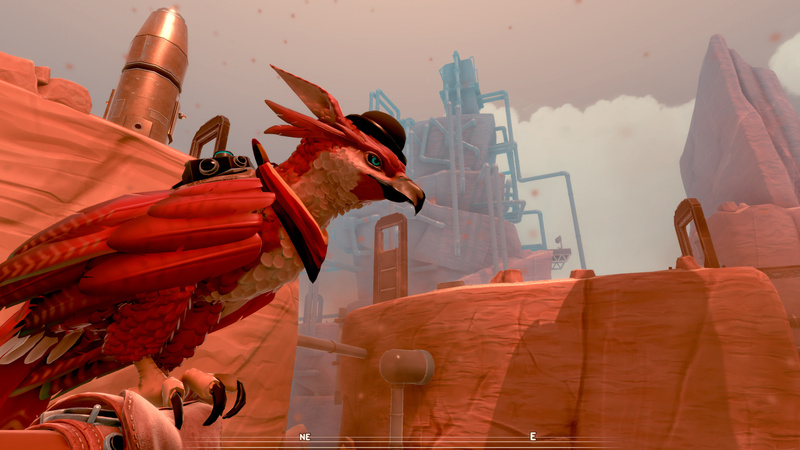 The bird brings an unparalleled level of intractability to the table – letting you tend to its wounds when injured, joining it in the highs of celebration once a refinery is taken over, and engaging in the surreal nature of equipping it with helmets and formal attire. Serving as a welcome distraction from the bullets and explosions of bigger titles, there’s nothing else quite like it in video games right now. The title was developed from the ground up for PlayStation VR, and that becomes immediately apparent as soon as you take the headset off and play it like any other game. To put it bluntly, Falcon Age probably isn’t worth playing outside of VR. It cannot be stressed enough how much PSVR adds to the experience, from the level of intractability achievable with the falcon to the simple act of rummaging through your belongings. Using the DualShock 4 controller is a far clunkier undertaking, while playing around with the bird is restricted to a couple of pre-determined actions. You can play the game from start to finish in this manner, but it’s going to be a lesser experience as a whole outside of virtual reality. One minor stumbling block can be found in its presentation. The falcon itself looks wonderful and animates beautifully, but the environments you’ll explore throughout the five hour playthrough are all very samey. The game never breaks free of its orange, rocky setting in order to mix environments up a little. You can tell a good amount of research went into studying how a falcon acts in the wild, though – it’s really quite impressive how believable the on-screen creation is. This one certainly came out of nowhere, what a pleasant surprise. A game I would have thought Sony would have teased a bit more. This sounds really great. Will definitely give it a shot. I'm at the end of my tether with VR. Too often I'm left fed-up after being hoodwinked into adding to my collection. I wait with bated breath to see how good this one is. What's the deal with this game, I can't even find it on the PS store and Google can't find a price, yet it's out today. I'm guessing it's digital only which is why Amazon doesn't have it. Excellent! Another VR purchase for sure. Anyone know pricing? Soooo you’re just going to slip in at the very end there that for as fully-fleshed out as this game sounds - and it does sound rather great - it’s over and done with in five hours? I’m not saying that’s necessarily a negative for me, personally, with how little time I can find for big undertakings, but it seems like it would color the rest of the review. How many bird hats can you really find, buddies befriend, extra combat mechanics introduce, recipes cook, and refineries conquer in that sort of timeframe? @Mergatro1d. Ive been burned a couple times for sure. I think the wait and see approach is good. VR in its infancy and some (not saying this review because this game is universally praised so far) reviews are biased based purely on hype for the tech. My 2 biggest VR regrets are Loading Human: Chapter 1 and probably Solus Project. @Fath Why would it colour the review if Liam felt it was a fulfilling and complete experience? Sometimes less is more. This is one falcon that is now on my radar. Sounds very cool. Warning flags aren’t always the end of the world, but just raising one and walking away like that is hard to draw a fair conclusion from, as an interested reader. @Fath I'm not seeing your point about the file size. Either way I disagree with you: Liam clearly didn't think the length was a "warning flag". He thoroughly enjoyed the game, and wrote his review as such. Compare to my review of Moss, where I talked about the length much more because it felt unfinished to me. That's not the case here. Context is key. After reading this review, I'm having upsetting flashbacks to a childhood trauma. Please tell me, that unlike the Kes book, this Chicken survives? @get2sammyb I mean, my example is clearly made up, of course. But it’s something that would leave you baffled and scratching your head, right? “I though this was a huge open-world game; what gives with it being so small? Is that a typo? Is this some kind of spin-off ‘experience’? Or maybe it’s delivered through some kind of crazy streaming tech, and it’s nothing to worry about? Ugh, I wish the reviewer hadn’t just left that dangling there; now I don’t know what to think anymore.” That sort of thing. No more replies from me right now, gotta get to work. @Fath That's all very well, but for heavens sake, won't somebody think about the Chickens? @Fath I really don't understand what we're discussing anymore. Have fun at work. I've been interested in the game since I found out about it. Can't wait to give the game a go. @Fath @get2sammyb sorry for double post but I just want to say that the game is 20 euros!!! So 5 hours is a really solid experience for that price, right? @get2sammyb @Fath Yeah, to follow up on Sammy’s points, I really don’t see the issue here. 5 hours is a great length for a VR game, and I didn’t feel like it needed to be particularly longer. Great review and so glad to see it gets a decent score! great review @LiamCroft and here I was thinking Blood and Truth was my next psvr purchase! I don't have the move though so maybe that needs to go in the basket too. Thank goodness this is good. I have very high hopes for this one. Can't wait to scoop this one up. Awesome review @LiamCroft ! Liam's opening statement about Outer Loop's first project and etc. is not accurate. Outer Loop is comprised of Uber Entertainment's former team who worked on games like Dino Frontier and Wayward Sky (among other projects under UberEnt). Both of which have a very similar look to Falcon Age. Its nice to see it's priced right at $20. For 5 hours of play, that's perfect. @Fath Are you bothered by a well done, five hour gamelength for something that is priced at $20? That seems like a good deal to me (esp. based on what else is out there in the VR store). I don't know what you are referring to as 1.5Gb.. it's downloading on my PS4 right now and it's a little over 6Gb. @Party_Cannon I know the team has worked on other games prior to Falcon Age, but as Outer Loop Games, it's their first title. @LiamCroft Fair enough Liam, but it is still misleading for accuracy's sake. I thought it would have been good to open with that - as it creates a bit of a narrative that these folks know a thing or two about PSVR, even though this is their first title as their own development group. It's not truly the developer's VR debut if all the development staff has worked on VR for 2 titles (that I know of). I enjoyed both of the titles they had put out under their former employer and I'm downloading this one now. Wow, I didn't see that one coming. Thanks to the Push Square Team for bringing this one under my radar. Will definitly purchase this one, as this is exactly my kind of experience. Looks really good. I'm well up for a 5 hour weekend experience in VR. Thanks for the great review, @LiamCroft. Maybe I'm mistaken, but in the review you keep using the word intractability when I guess you meant interactivity.